Who hasn't heard of Minecraft? 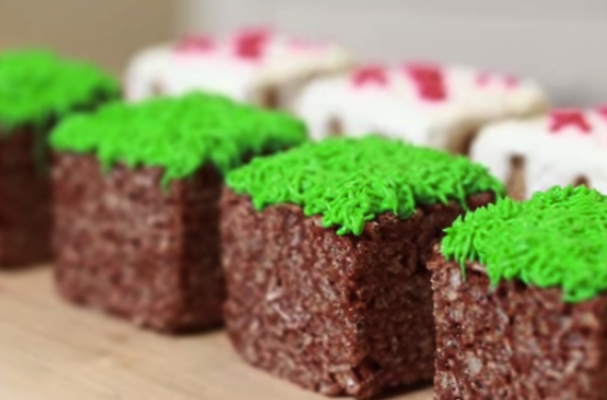 Your little chefs will go bonkers for these awesome Minecraft cakes and grass blocks made of Rice Krispy treats. We are always so impressed with Nerdy Nummies cooking videos, but this dessert awed us like no other. The shape is just so perfect as a treat and as a Minecraft block. What a nifty idea for everyone in the fam. NOM!